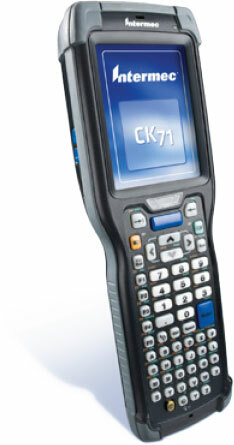 The Intermec CK71 provides everything you need in a mobile computer. Rugged construction, all-day use, fast processing and unmatched versatility. In fact, the CK71 is built with a number of features and communication options to keep your team in contact and working efficiently throughout the day or night. The Intermec CK71AA4KN00W1100 is also known as Intermec Technologies	INT-CK71A63	.